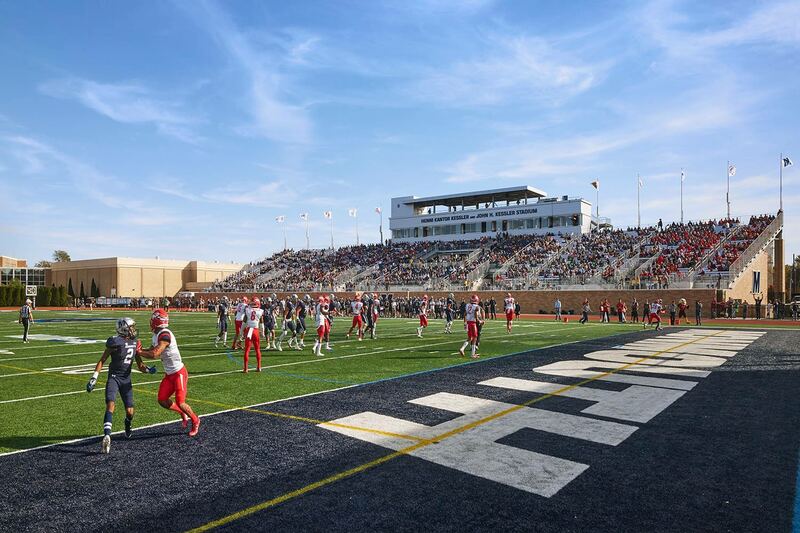 Monmouth University’s move into the highly competitive Big South Conference created a need for a stadium that could accommodate these new demands. 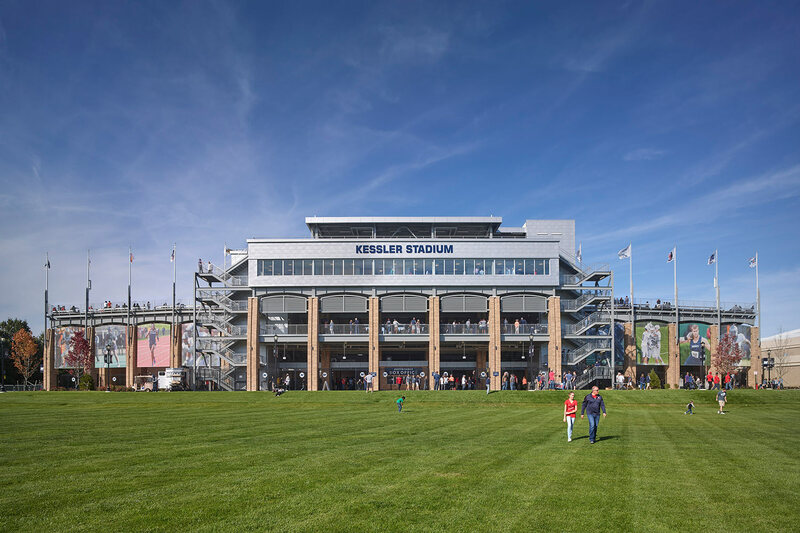 EwingCole worked with the University to transform Kessler Field Stadium to a first-class collegiate facility. 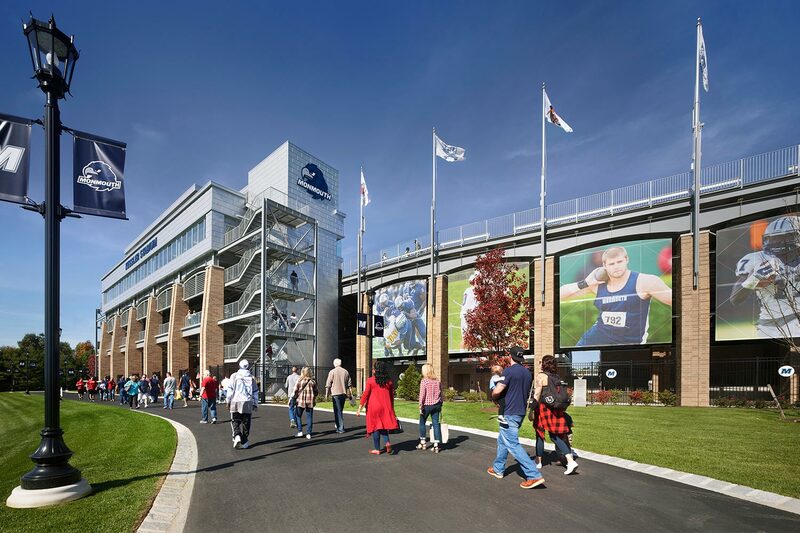 Welcoming fans on game-day, the facility instantly establishes itself as an iconic building on campus. 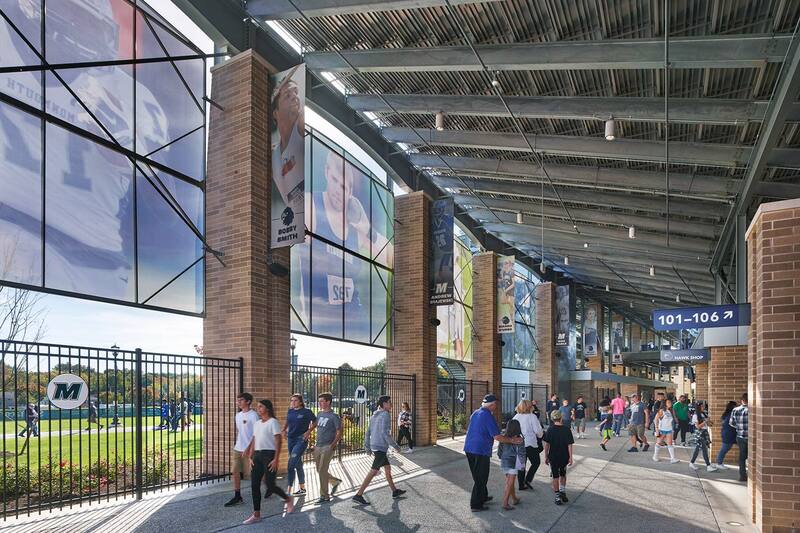 The scale of the building is in-line with the existing architecture, including EwingCole designed MAC Arena. 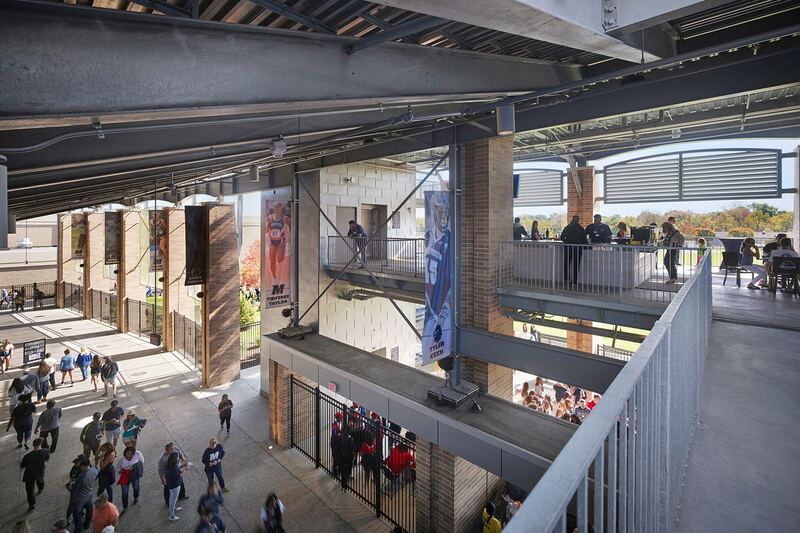 Innovative structural design allowed for greater flexibility under the seating bowl reserving the upper levels for increased seating, improved site lines, VIP amenities, new press box, and multimedia center.